The PAA has over 15 miles of prime salmon, sea trout and brown trout fishing. It is mostly on the Western Cleddau where the fishing beats stretch from the fast flowing upper reaches to the tidal region just upstream of Haverfordwest. 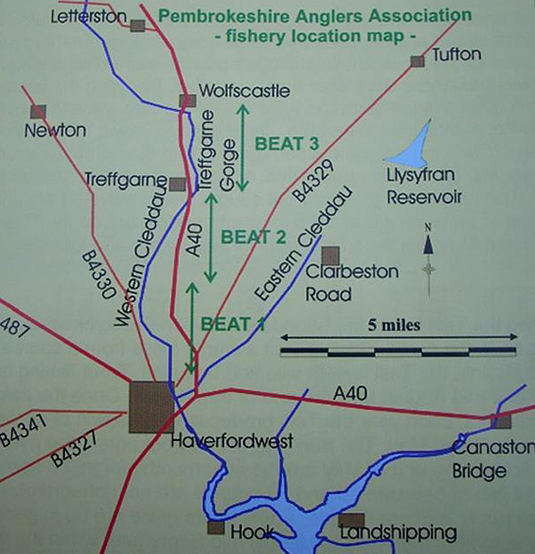 We also have a beat at Llawhaden on the Eastern Cleddau. Click here to download detailed maps in PDF format. concessionary rates for young people, pensioners and the disabled. Throughout the fisheries there are bag limits to aid conservation. Also it is hoped members will release all fish not being kept for the table. MEMBERSHIP / PERMIT APPLICATIONS DAY OR WEEKLY TICKETS. Click here for details. Detailed Map of Western Cleddau showing named pools and access points. Detailed Map of Eastern Cleddau showing named pools and access points. BEAT 1: Haverfordwest to St.Catherines Bridge. There is a mixture of single-bank and double bank fishing along this beat, with some long runs and glides but also seqences of meanders with deep pools and shallow riffles. 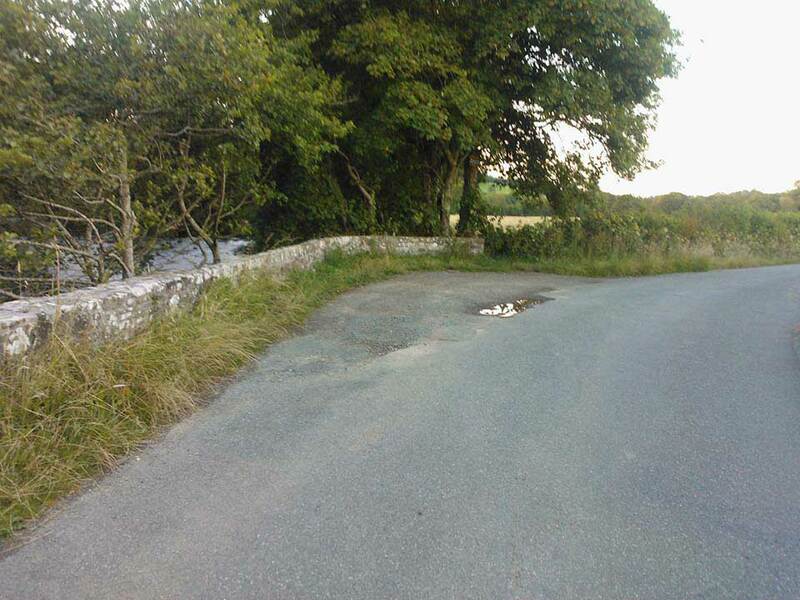 Vehicular access can be gained to the left bank of this beat via Mill Lane, some 200m north of the Withybush Roundabout (where the B4329 Fishguard Road crosses the A40). The right hand bank can be accessed from the B4330. The middle beat contains some long runs and glides, but there are also several noted pools and a sequence of quite sharp meanders near the upper Treffgarne end of the beat. The fishing is all on the right-hand bank, and the first field above St Catherines Bridge is for access only; the fishing begins from the second field upstream through five meadows of varying sizes .There is then a private stretch where PAA. has neither access nor the right of way or fishing rights, and so the final three meadows must be accessed from the top of the beat. There is parking at Treffgarne Bridge. Access is down the lane to a style, or continue on until the lane turns right and access is throught the gate on left down the left hand side of the field. The upper beat provides very varied fishing. For much of its length the river flows through a wooded gorge – Treffgarne Gorge – but above and below that stretch there are some sharp bends in the river, some of which have formed small islands. Over most of the fishing there is double bank fishing, but there is a stretch of single bank fishing just before the upper beat limit.